8th Aug 10: The "Andy Piper Memorial Tour" thunders through Farnborough. 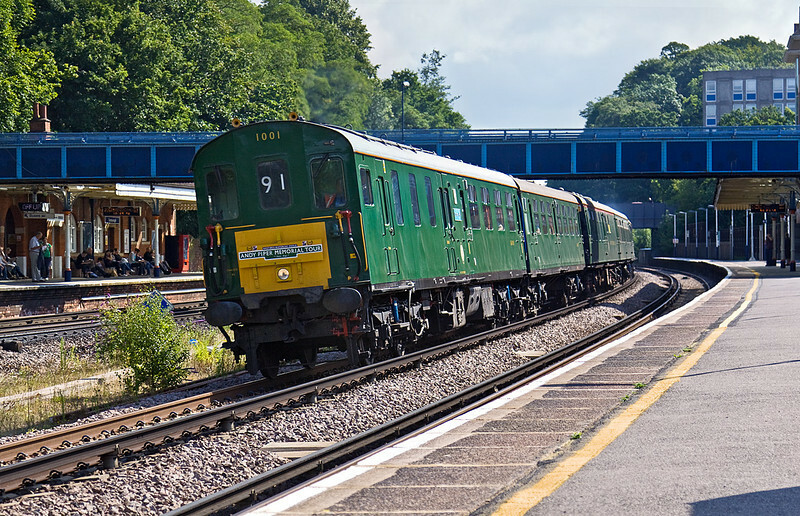 The classs 201 'Thumper 1001' started from Hastings and via Waterloo is heading for Poole. Georgeous ! !